Please visit us on youtube: enter "Peninsula Farm" and enjoy! 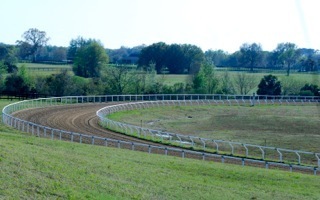 Professional designed 5/8 mile track - was the training track for the Kentucky Derby winner "SILVER CHARM". Track is irrigated and maintained daily. Track is re-worked twice a year to maintain optimum footing and slope. 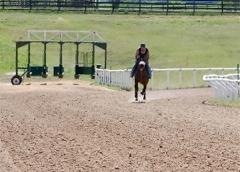 Three hot walkers, round pens available for training and "pen hooking"
Track times entered into EquiBase. 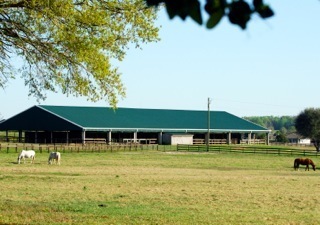 Quanantine barns available - Peninsula Farm is an approved Quarantine location. Pastures & Paddocks for turn-out. Stallion barns, paddocks and breeding shed available.